Set sail aboard this 2015 Bavaria 51 that can be yours to charter in Sukosan. This yacht is suitable for larger parties with accommodations for up to 11 guests. This model’s elegant, yet functional design makes it one of the most popular yachts to charter. 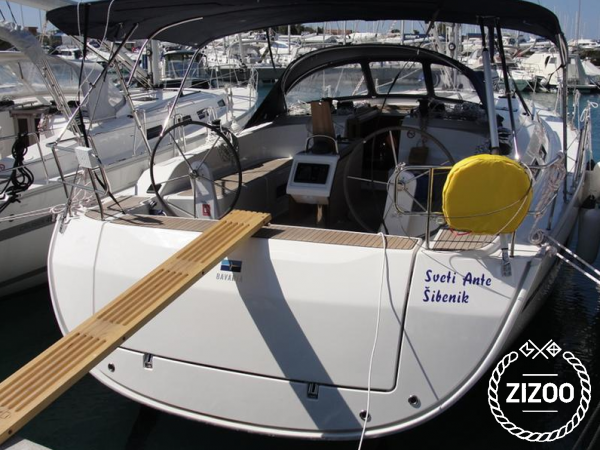 The Bavaria 51 is easy to handle and has plenty of space on deck thanks to its twin helm design. The foldable swimming platform is also a plus for those days anchored at some of Croatia’s most beautiful beaches. You can learn more about Bavaria Yachts and why they are great for family sailing holidays here. Start planning your dream boat holiday in Croatia with our guide to sailing in and around Sukosan.